Growing up, I loved going camping with my family. Some of my fondest childhood memories take me back to those summer nights under the stars. Now I share my love for camping with my own family. We often stay at the state campground where there’s no electricity or water hookups on the campsites. Yes, camping is messy but that is all part of the fun. So before our recent trip, I headed to Walmart to pick up Wet Ones® Hand Wipes to handle all the ickies and stickies associated with our outdoor adventures. It’s great to have them on hand for the expected messes and the unexpected ones too. The first thing we did when we got to our campsite was pitch our tents. We always think that we have them in the perfect spot but when we go to stake it down, without fail, we always end up hitting some rocks under the dirt. Before I could even get my shovel, my son started digging in the dirt with his hands. Wet Ones® are tough on dirt, but the moisturizing aloe inside each wipe makes them easy on skin, even the littlest of hands. They are a convenient 2-in-1 way to wipe away dirt and messes. Before we knew it, it was time to eat. When we’re home, I always make sure everyone has washed their hands before eating. Since that’s not possible when we’re camping, using Wet Ones® will kill 99.99% of germs when soap and water aren’t readily available. They clean better than hand sanitizers plus they are Hypoallergenic. They give me peace of mind wherever I am. The weather was beautiful so after lunch we headed down to the lake for some sunbathing, swimming and fishing. 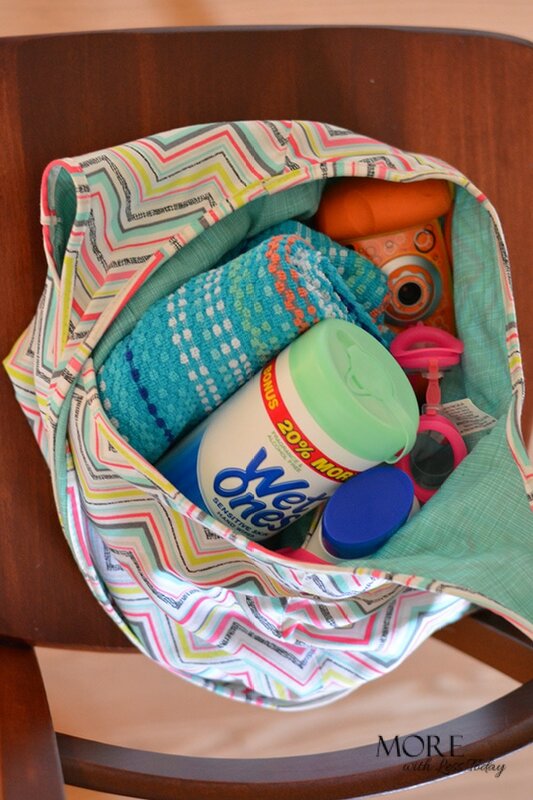 We packed our beach bag making sure we had all the essentials. Sunscreen was definitely needed so I made sure that the kids and myself were completely coated and yes, you guessed it, more Wet Ones® Hand Wipes were needed to wipe away the excess sunscreen. While my daughter and I enjoyed some time in the sand, the boys headed to the fishing area. They got the worms on their hooks and then used Wet Ones® to get rid of the worm slime on their fingers. Messy fun is the best kind of fun, don’t you agree? 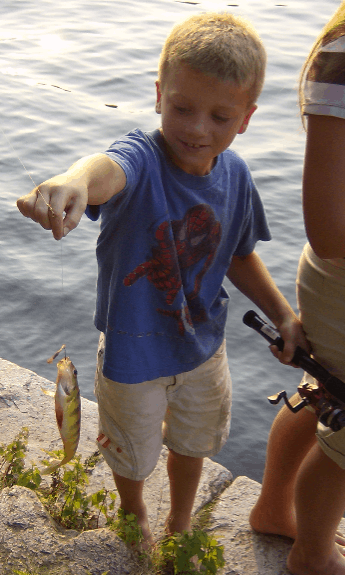 We met a little fisherman friend and my husband helped him reel in his catch. After the photo opp, we set the fish free and shared our canister of hand wipes with our new friend. The campground invited the kids to decorate the walkway to the lake. My son wanted to keep fishing but my daughter jumped at the chance and started drawing away. By the time she was done, her hands were as colorful as the sidewalk but it’s okay because I had my hand wipes ready for her. Some of the other parents asked if I would share my Wet Ones® and of course I said yes. Everyone needs clean hands and I got a chance to meet some of our camper neighbors. Having Wet Ones® hand wipes on hand makes me feel like a good mom. The wipes kill 99.99% of germs, our family is clean, refreshed, and ready for everything the summer has in store for us. As my camping adventures continue so will my many reasons for buying Wet Ones®. Last time I went to Walmart, I bought the Wet Ones® Sensitive Skin Extra Gentle Hand Wipes but they also have Wet Ones® Fresh Scent Antibacterial Hand Wipes and Wet Ones® Citrus Scent Antibacterial Hand Wipes available in a travel packs, canisters or even singles so you can take them everywhere you go. The canister fits right inside my cup holder. I don’t know about you, but we spend a lot of time in the car and Wet Ones® hand wipes are versatile, simple, and convenient to have on hand. Wet Ones® are America’s #1 Hand Wipe* *#1 claim based on scan data for 52 weeks ending 1/23/16. How will you use Wet Ones® Hand Wipes to help survive your summer adventures? Be sure to check out the Wet Ones® Ideas page for more inspiration! We camp a lot and are outdoors so much. Wet Ones are so handy to have with us when we are out on our adventures! Camping is definitely not a neat/clean experience. But that’s half of what makes it so fun! Hand wipes are a necessity when you are out camping and doing any related activities! I keep Wet Ones on hand at all times, especially in the summer. We live in Georgia, so most of our activities involve some form of getting dirty. I love Wet Ones they really come in handy when on the go. I keep a package in m purse for those times when you have no access to a bathroom or sink. You showcased some really good uses for these wipes. This is a trusted name and I keep them in the car and even in the dog’s closet of items. You never know when one is needed. Wet Ones is very convenient to always have around. I use this anywhere and everywhere when my kids were little. Even if they’re all grown up now, I still stock up on this. I love Wet ones. When I was young my Mom always used them to clean up messes in our house. I keep a container in my car and in our house. They are perfect for fixing most messes! Wet Ones have always been something I have carried around even though my sons are men now. 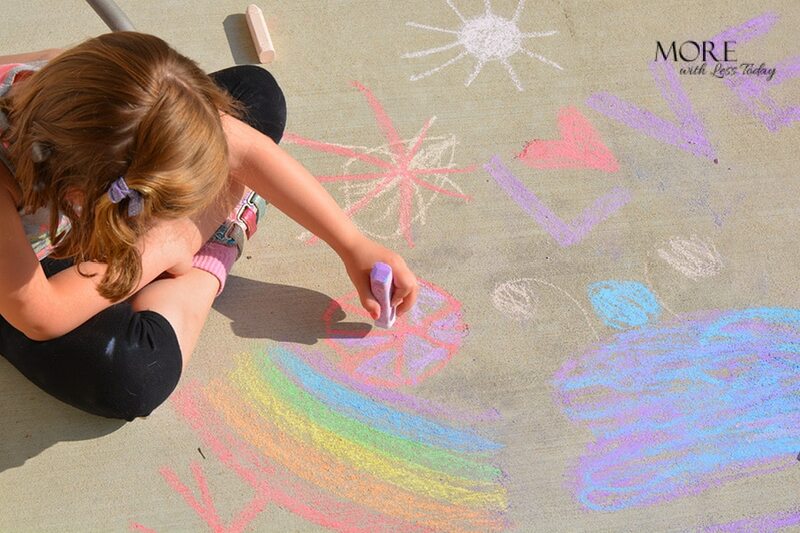 I love the fishing example and the little one play with the chalk. These are great examples of why to keep Wet Ones around. Thanks for sharing these awesome wipes. This is a must especially when you have kids around. I always have wipes in my bag before we go somewhere, it comes in handy everytime. Wet Ones are always close by. I keep some in my bag and in the car. They are great for camping. I would love to have a constant supply of Wet Ones in my car, it a disaster zone in there! Looks like you guys have a lot of fun camping! 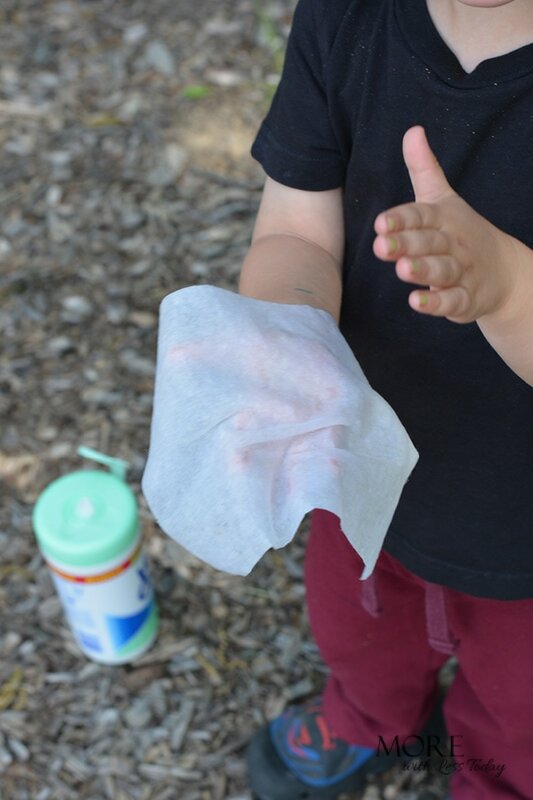 I wrongly figured that once my kids got a bit older, I wouldn’t need wipes anymore! I was wrong! I use them all the time when we’re on the go-for myself too! Wet Ones is a must for me. The twins are always getting dirty and I always use wipes whenever soap and water are not available.